American industrialist Andrew Carnegie seems almost like the epitome of the old fashioned American dream. 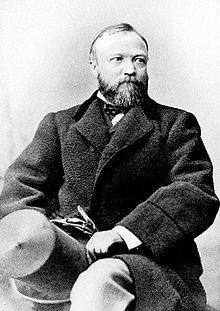 Born into a poor family in Scotland in 1835, Carnegie came to America with his family in 1848, where they settled in Pennsylvania. Leaving school at 13, Carnegie took a series of menial jobs, working in a cotton factory, then as a telegraph runner, before landing a job for the railways in 1853. A hard worker, conscientious and dedicated, Carnegie then began a rapid rise through the ranks, and was secretary of the Pennsylvania division of the railroad company by the time he was 20. Around this time, he also came under the influence of Colonel James Anderson, a local philanthropist, who allowed young people access to his voluminous private library. Anderson took a liking to Carnegie, and offered him personal, and financial, advice, serving as a mentor to the ambitious young man. Thrifty with money, Carnegie soon had some capital behind him, that Anderson helped him turn into a series of profitable investments in local businesses. $40 000 investment in a local oil company. Within 2 years, this speculation would yield more than $1 million in returns. Carnegie parleyed his now considerable wealth into a major investment in heavy industry, founding the Union Steel company, whose rapid growth would make his major fortune. 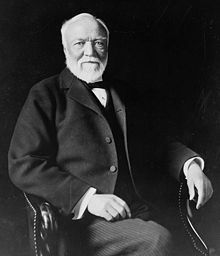 When Carnegie eventually sold Union Steel to JP Morgan in 1901 for $480 million, he was the wealthiest person on earth. In shorthand, this is the story of Andrew Carnegie, business magnate. Carnegie never forgot his modest background, nor the generosity of Colonel Thompson that had helped him on his way. As his involvement in his business was delegated away, Carnegie dedicated himself to philanthropy and, by the time of his death in 1919, had given away some 90% of his enormous fortune to charitable causes. 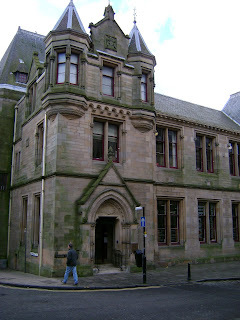 One of his favourite philanthropic endeavours were the Carnegie Libraries. Conscious of the role that Colonel Anderson's private library had played in his own development, Carnegie founded an ambitious program of library construction. The object was to provide a free source of knowledge, available to anyone, regardless of their means or social status. The first Carnegie Library opened in his old home town of Dunfermline, in Scotland, in 1886, and the first in his adopted country in Braddock, Pennsylvania (a town dominated by a Union Steel mill). The libraries were not provided without conditions, and a number of eligibility criteria had to be met; the town had to be without a public library already, and be willing to provide a site for the building free of charge. 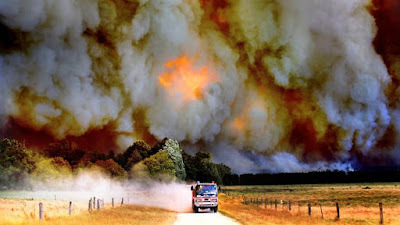 And the local authorities also had to commit to providing an annual budget for the continued running of the institution. Nevertheless, many towns and cities were willing to meet these criteria, and eventually more than 2 500 Carnegie Libraries would be built, right across the world. In Northcote, in the inner northern suburbs of Melbourne, the need for a new library was keenly felt. 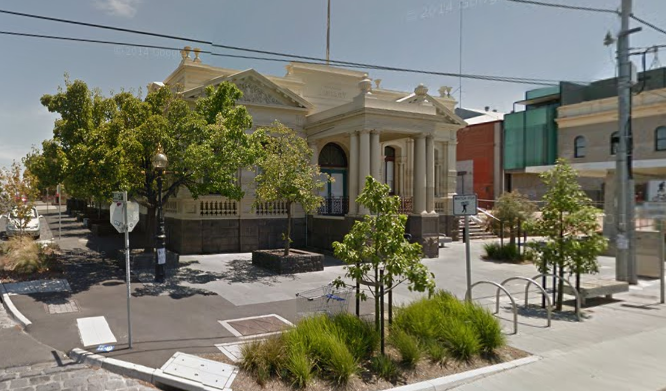 From 1883 a room in the Northcote Town Hall had been set aside as a public library, but this had proved inadequate for the growing community. 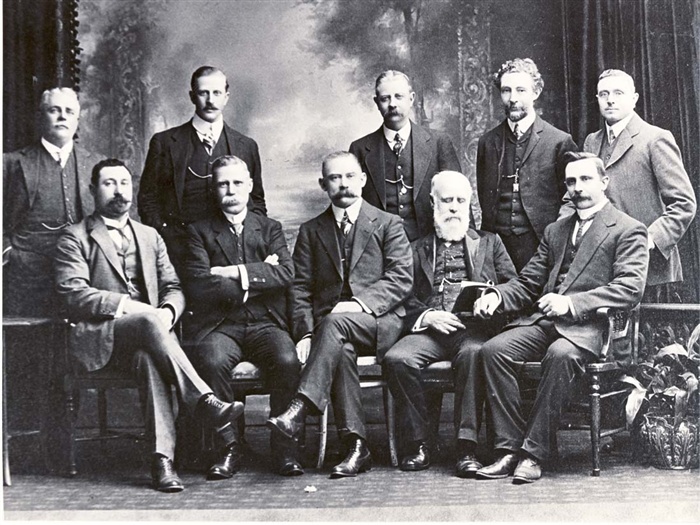 In 1907, the Northcote Library Committee approached the Andrew Carnegie Foundation, and submitted a formal request for funds for a new library building. A site adjacent to the Town Hall, at 185 High Street, was offered, and an annual budget of 200 pounds for running costs agreed to. With some back and forth over the particulars, the application was approved, and 3 000 pounds allocated to the committee from the Foundation. Construction was completed in 1911, and the library was opened August 21, 1911 by the Governor of Victoria, Sir John Fuller. 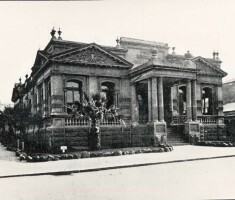 The Carnegie Library in Northcote, shortly after completion. The new building featured a classical facade, while the interior had designated rooms for newspapers, magazines, books and study. It would continue to operate through most of the 20th century, before the library again outgrew its location. 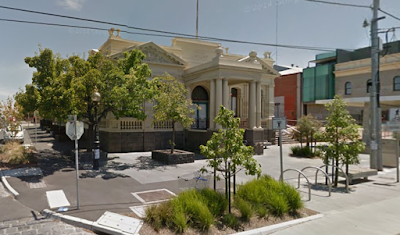 In 1985, the Northcote Library was moved to a (considerably less stylish) location on Separation Street, while the Carnegie Library was converted into Darebin City Council offices. After his death, Carnegie's left much of his fortune in trusts, which are still used today for a wide variety of charitable causes.